This coming Saturday, Lolalicious will be presenting at A Crafty Affaire at Elgin Hall in South Surrey (directions). Check out the Friday, May 25th post here! Lolalicious made our debut at the BLIM Community Market at Heritage Hall on Main Street today (website). It was a slower sunny Sunday afternoon but we still had a good time. We have already signed up for future BLIM shows, and will post all our summer dates shortly. Thanks to everyone who stopped by our booth. We did not have a backdrop to work with so we had to create our own aluminum poster stand which, after several days of intense metal work, made its debut at BLIM. Lolalicious Design collars can now be found in The Window Community Art Shop! The Window has a great selection of local artist’s work and excellent facilities, such as pottery kilns, sewing machines, and more, for the surrounding community to contribute to that selection. More information can be found on their website – thewindowartshop.com. 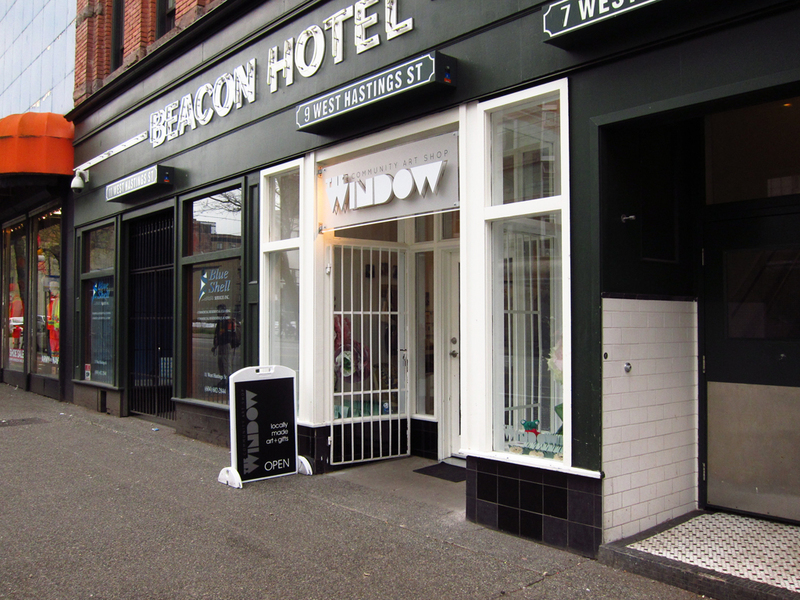 A great amenity for the emerging Gastown art scene.